We'll hand it to other parts of America. We love eating floppy thin-crust pizzas, otherwise known as New York-style. The Neapolitan type of pizza made in Connecticut called New Haven-style is wonderful too. And we really enjoy "Quad Cities"-style pizza with its malt crust, scissor cut, and the toppings hidden underneath the cheese. But we can pack deliciousness in one bite at a GREAT price. 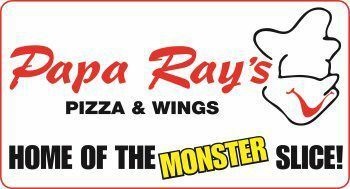 Papa Ray’s Pizza and Wings in Lincoln Square, serves up simple but delicious slices loaded with any toppings you want and taste just as good as any in Manhattan. (Our wings are amazing too.) What is your favorite type of pizza? Favorite toppings? Are you a die-hard pizza lover? Consider opening a franchise with us! You’ll be surprised how fast you’ll see a return on your investment.